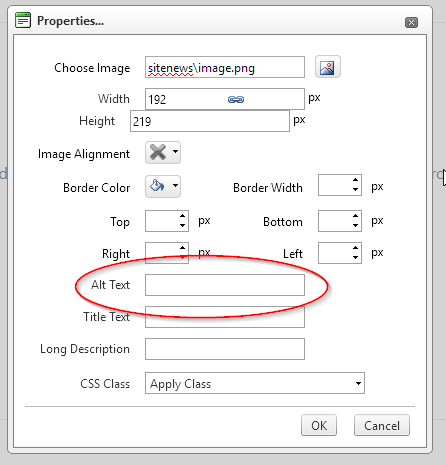 An ALT attribute is a tag used within an <img> tag in HTML to describe to search engines what the image actually is. It is also useful for visually impaired users, who may be using a text-based browser, and users who have images disabled. This plug-in will automatically output the ALT attribute based on the group description. Don't forget to check-in and publish any changes you make.